What an adorable card for your son! He will be delighted! The Twist Panel Pop Up is on my wish list! It looks like fun to make this card! I already have thus popup - but you bring it to a new level! What adorable images!! Ha! Great card Summer!!! I love your colouring! I think this stamp set is another 'need'. Love how you used it with the pop up. Twist panel pop up is a great die set!!! I love it!!! I 'm also impressed by the way You coloured the monsters. I have not made my way to those pens yet, but I get inspired by Your card. 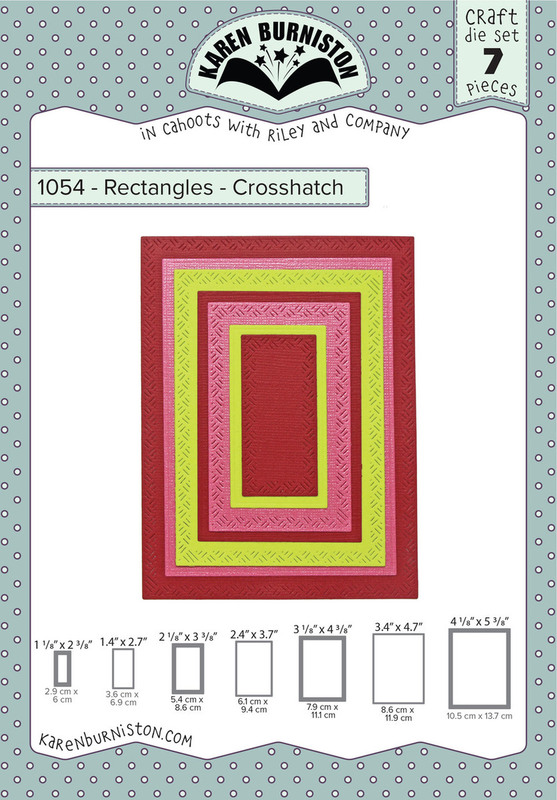 I love how you created the pattern paper then made those same images come to life using the twist panel die! Love your coloring!! I think these are the cutest monsters ive seen. A sensational card with these marvelous monsters! Such fun!!! Such a great boy card! Love it! Amazing as always!!! Oh my! Those monsters are cute and just perfect for the Twist Pop Up Panel die you used. It is super! Thanks for sharing! Love the card and the monsters! Love your cards, pop and twist such fun to make!! The twist panel pop-up is so versatile and I love the monster bash stamp that you used. I think the cross hatch rectangle you used in the front of your card is so pretty. Marvelous coloring on those images. Those monsters are adorable! Wow, this card holds an element of surprise when you open it to see all these birthday monsters!!! note I just wanted to mention that I love your copic coloring !!! Your shading is wonderful!! I still stuggle with placement. Thanks again for sharing. Oh my gosh - I LOVE those monsters! Great card; SO many ways to use this die and I'm having so much fun looking at all the examples! TFS! Oh I Love Green, and am now a Green Eyed Monster of Jealousy, as I don't have this stamp set. It is Now on my List. This is Just a Great Card. Love It. I love these monsters and your coloring is amazing...cute not freaky!!! WOW such create coloring! I can color to save my life but these critters are so cute maybe I should really start practicing :) Thanks for sharing! That twist and pop up panel set is just amazing. I can't wait for it to be released! Summer, this is sure to please any monster fan! The images look great as line art and they sure stand out with Copic coloring! 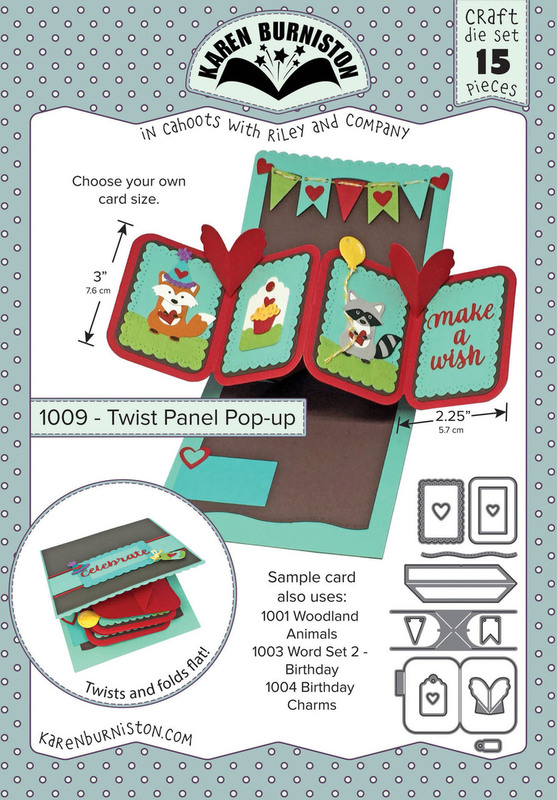 This twist panel pop-up will surely get a work out from your son opening and closing it as it is so much fun! Awesome job! Oooh, I love these monsters! They are cute and hysterical. I love how you added them randomly to the front, un-colored. And then to color them green on the inside is perfect! I mean, monsters are always green aren't they?! Your son will love this, I'm sure. Thanks for offering this prize - so generous of you! Your card made me SMILE! The monsters are perfect for the twist panel pop-up mechanism. fun card, love the coloring! This is a very cute card. That monster stamp set is too adorable. You make it so fun. 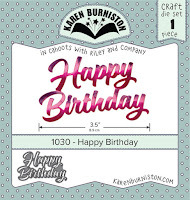 The monster Party stamp set by Brutus Monroe is so cute for a little boy birthday card. I absolutely LOVE this card! It will make the perfect card for my grandson! That card is monstrously cute! I love twist & pop cards & your monsters really put a smile on my face. They are really cute. I have a friend with a Halloween birthday. I have made a monster themed card before, but never a twist and pop. This would be an awesome die to own as your card clearly shows! So fun with the monsters and the twist pop up. I like your coloring. what fun - love the card ... love those little monsters! Love your card! These little monsters are so cute (and you did a great job colouring them! I love the twist panel popup - it really showcases all the stamped images! Wow great colouring. Super cute card. Absolutely adorable card. Such a cute idea for a little boys birthday card. Eeeeeeeh this is soooooo cool !! I just can't get enough of it ! Awesome card! Thanks for the inspiration! 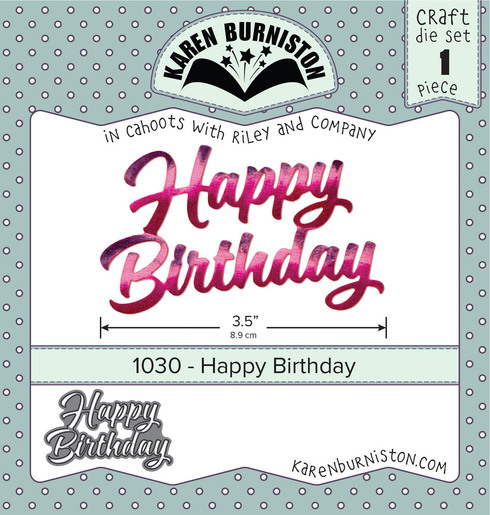 I love that you created your own patterned paper using the same stamps that are on the twist panel - such a super cute card! Happy birthday to the 6 year old! Fabulous card! I love the simplicity of the outside in conjunction with the great detail on that fun twist panel pop-up. Your colouring is really stunning, too. Thanks for the chance to win. These monsters are so cute. Thanks for sharing and also the chance to win. Hello Summer I love your card for its colours and also because it gives me an idea for a masculine card which I often find more difficult to do than feminine ones. So thanks for sharing your idea ! What darling little monsters! I just got this die and can't wait to play with it!! Very clever and adorable card, Summer! Love the cute monsters.